In Helfrich v. City of Jacksonville, 1D15-1095 (Fla. 1st DCA Oct. 4, 2016) the court withdrew its initial opinion and substituted an opinion which discusses the types of issues that are ripe for a party to seek declaratory relief. Appellant, a former employee of the City of Jacksonville, sought an interpretation of the term “contributions” in the City of Jacksonville’s General Employees Retirements Plan. Having left the employ of the city, the employee was faced with two choices: (1) elect to vest her for deferred retirement and leave her own contributions in the fund; or (2) elect to rescind her vested rights and received a refund of her accumulated contributions. The employee had yet to make a choice between the two options. The city had also made payments to the fund during the time of Appellant’s employment. If “contributions” included those contributions made by the City of Jacksonville, then it might have been advantageous for the employee to rescind and receive those contributions. The employee sued for declaratory relief, seeking a declaration that “contributions” included those payments made by the city. The trial court noted, and the appellate court agreed, that it did not have jurisdiction to issue a ruling, because the employee had yet to elect to vest or rescind. In order for a court to have jurisdiction to issue a declaration, it needs to be dealing with a “present, ascertainable state of facts or present controversy as to a state of facts.” The court held that, prior to the employee’s election of either of her two options, there was no “present” controversy, but instead a hypothetical, potential, future controversy. Under the rules of certain jurisdictions, this communication may constitute 'Attorney Advertising'. 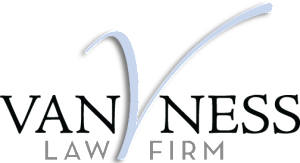 Users are cautioned that information on this website is not legal advice, does not form an attorney-client relationship and should not be relied upon.